For those of you that have only played Monopoly, Trouble, or even Candyland, just forget those. They are not good games. I grew up playing those and they can easily turn you off to board games. Why? Because they are boring or, in the case of monopoly, just too damn long for what you get out of it. It wasn’t until I met my husbands family that I learned what board games are all about, which are the good ones, and how to find them. For this buying guide, I want to get you away from the crap games and have you experience something new, entertaining, and just way more fun. The following games will appeal to anyone whether you are new to gaming or have been for awhile. These are just great games that are easy to learn and fun to play. I included the Board Game Geek link so you can take a look at reviews and view some pictures, as well as the Amazon link if you wish to purchase (if not available then try coolstuffinc.com). Hopefully, one of these games will pique your interest! I hope to have a buying guide up at some point for both children and avid board game players, in addition to this one. These are my personal recommendations and ones that I have played multiple times. As I play more games that fit this list, I will be sure to add them. There are other great games out there, but I don’t want to recommend them if I haven’t played them. 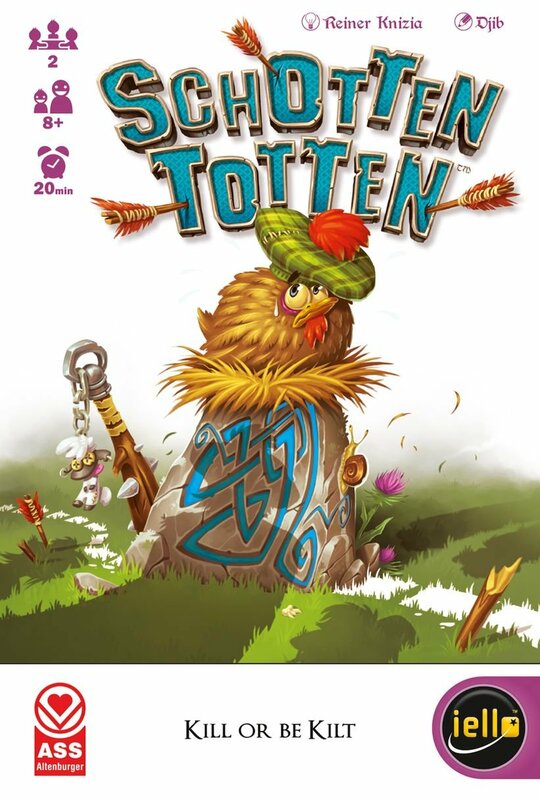 Schotten Totten is a game that was new to me this year. I first played it with my father-in-law and instantly fell in love with it. It is a quick, easy to learn card game that is based upon luck (drawing the right card) and quite a bit of strategy in how you lay your cards down. This is such a simple, yet fun game that I recommend it to everyone, especially as an introduction to quality games. It is only 2 players, but in my case that is another great thing about it. It comes in a small box that is easy to travel with and store and only takes a few minutes to set up and clean up. You can view some pictures and a ton of reviews at BoardGameGeek. 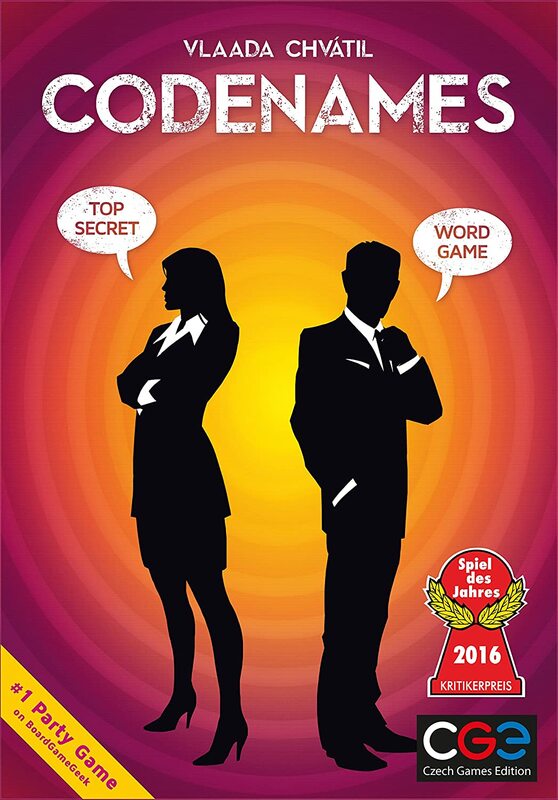 Codenames is a fantastic party game that I love playing with my family. It is super simple to learn and quick to play, not to mention being the perfect game to take to Christmas gatherings to play with family. It is super portable and anyone will love it, especially if they love word games. 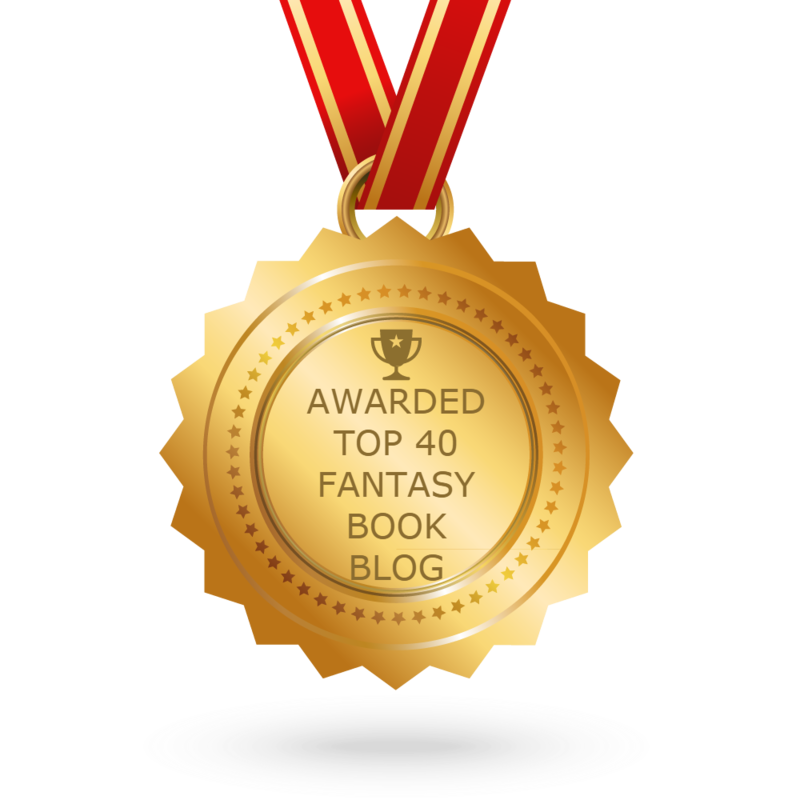 It also won an award in 2016! There are a ton of different iterations of the game including Disney (8+), Duet (10+), Marvel (10+) and even Deep Undercover (18+) and many more, but personally I have only played this one so I can’t judge the quality of the others. Check it out on BoardGameGeek. 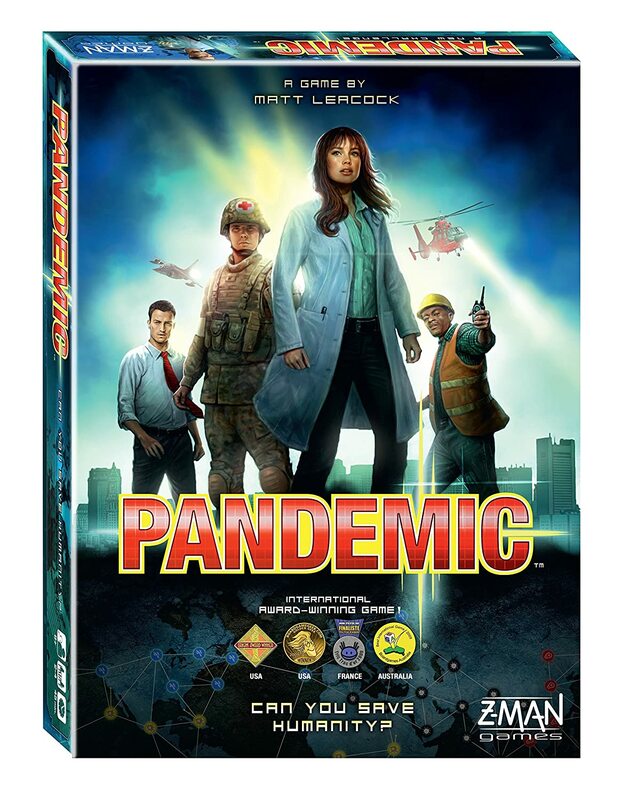 Pandemic is a great cooperative, award-winning game in which you are attempting to treat diseases that are spreading throughout the world while researching for a cure. It is 2 to 4 players though I find it to be the most fun with at least 3, but my husband and I play it all the time together and still enjoy it. If you don’t like playing against another person than I recommend this game in which you work together. Again, its not too large of a game, and its fairly easy to learn and only takes around 45 minutes once you know how to play. It’s one of my favorite games! There are other iterations as well including Cthulhu and Iberia but this is the only one I have played. Visit BoardGameGeek for some more information! 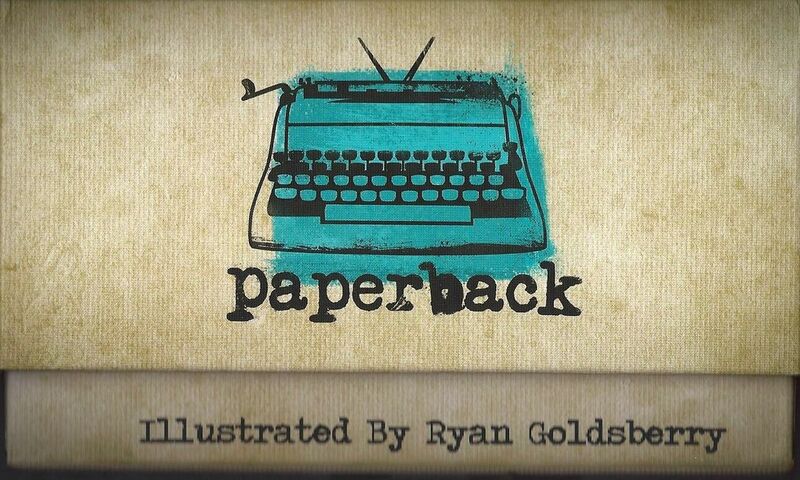 Paperback is a great word game, especially if you don’t like scrabble (like I do). It is a great introduction to deck building and victory points, which are used a lot in other games. You build words, which are worth a certain amount of points that you can use to buy other letters to add to your deck. It is a ton of fun and actually quite simple to play. I recommend playing only with the base game and not the expansions or extra content for awhile. I haven’t even used it yet but its nice that it is included. It’s great even with two players and doesn’t take too long with more (a max of 5 I think) as long as people are prepared on their turn with the word they want to play. It’s also great to travel with because its not to big, though it does take a bit to set up each of the piles you need to play the game. My brother doesn’t play board games, but I brought this to play with him and his girlfriend and they have asked me to bring it back. It was very easy for them to learn and they had a lot of fun finding words that scored a ton of points. Unfortunately, this game isn’t available on amazon but on the publishers website since it’s a smaller business, but for what you get with the game the price is worth it. It’s currently on pre-order because he must have ran out of copies but hopefully it will be in stock soon. Find out more about it on BoardGameGeek. Note: I do recommend putting these cards in sleeves or they get worn easily. You can buy them on Amazon or your local board game shop. Catan is a bit more involved than the other games I have mentioned, but it is still quite simple to play. 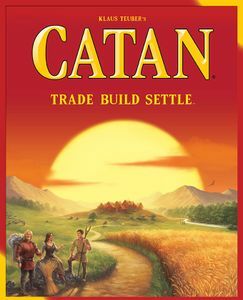 I haven’t met anyone who doesn’t like playing Catan because it is fun, easy to teach, and contains quite a bit of strategy with a mix of dice rolling luck. It for 3 to 4 players though there is an extension you can get to make it 5 players; I think it is the most fun with 4. This is quite a bit longer of a game at 1 to 2 hours but you seriously won’t even notice; just have fun! It’s also easy to set up and take down. Just take the time to read the rules, which are straight-forward and simple, but if you don’t feel like doing that then just watch a video. There are a ton of how-to-plays on YouTube. It seems to currently be out of stock everywhere since we are nearing Christmas, but keep an eye out for it. You can find it at coolstuffinc.com. If you have younger children there is even Catan: Junior for ages 6+ that doesn’t require any reading ability. I haven’t played it quite yet but I did get it this year for my son for Christmas. Can’t wait to play it! 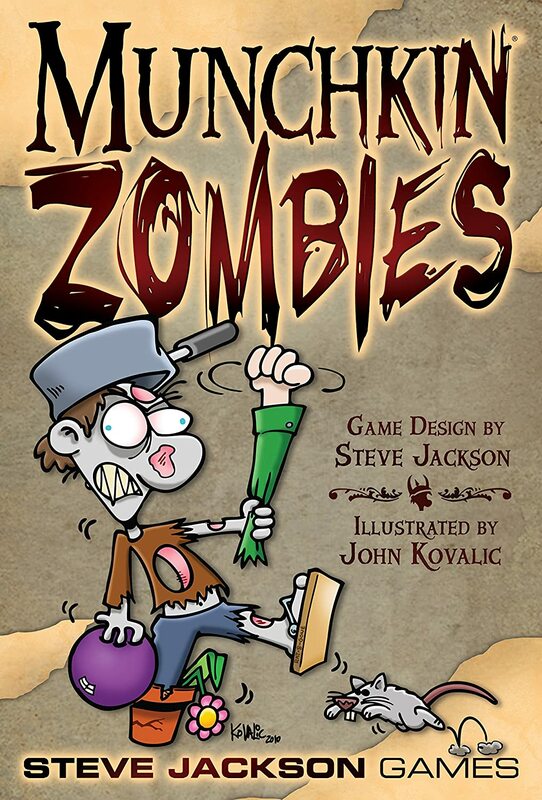 Munchkin Zombies was one of the first games my husband and I bought since, at the time, we had a larger group of friends to play with. It’s fairly easy to learn and a lot of fun, but may ruin some relationships. It can be a pretty cut-throat game at times. It is also hilarious! I recommend just checking out a how-to-play video on YouTube to see if it is something you would enjoy playing. Zombies not your thing? Well, there are a ton of different ones to suit anyone’s tastes from vampires to Cthulhu to superheroes, or even a wild-west theme. I have played both this one and Vampire Bites, but this one is my favorite. It really got us into playing other games. It is quite long at 1.5 hours or sometimes even longer, though it could be shorter. It can play anywhere from 3 to 6 though I have found it plays best with 4. It would be way too long of a game I think with any more than 4 players. Trust me, its a great way to have a good time with those with a sense of humor and maybe loose a few friends in the process. 🙂 Find some more info at BoardGameGeek. 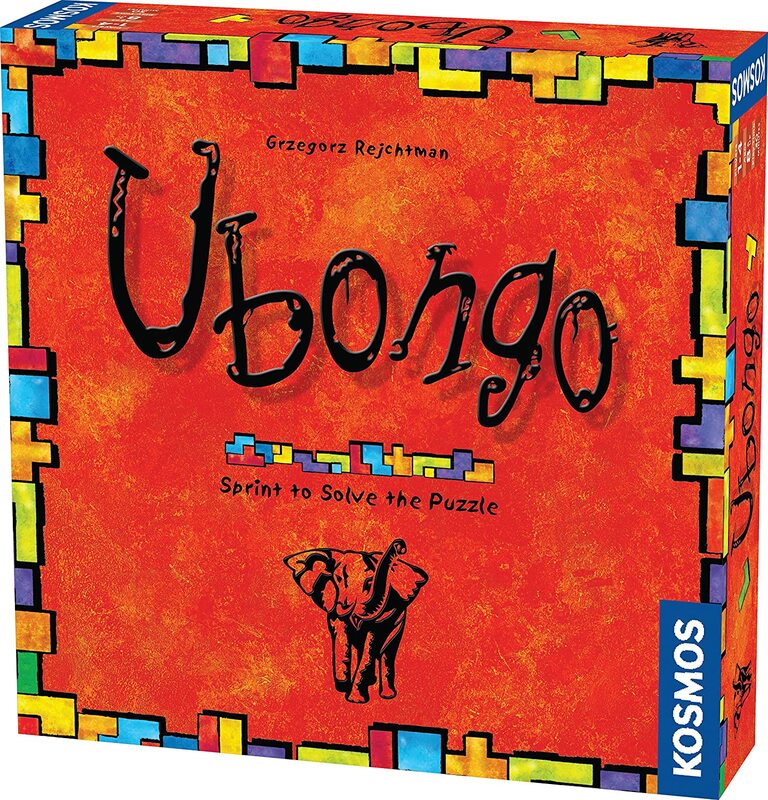 If you love Tetris, then you will adore Ubongo. Each player has to complete their puzzle using the tiles chosen by the die roll and the first one to finish gets the most points with each subsequent player receiving fewer. It is super fun and seriously increases my husbands anxiety level as he tries to finish his puzzle before mine. It’s super simple to play and only takes a couple minutes to set up. It’s also easy to teach and has two levels of difficulty that you can use at the same time because it is determined by the number of pieces used, so people can either have a handicap or you can potentially play with younger children. Find more information at BoardGameGeek. Awesome guide 🙂 great games – I haven’t played Paperback but I’ll be sure to add it to the list! I’ve also found that Pandemic works better with more than two people. It seems much easier to win with just two players, for some reason. I could totally make up a few recommendation posts from this, all around tabletop games: one for board games, one for card games, one for dice games. Of course, I could also just recommend that people go and watch the web series TableTop, which is uploaded on the Geek & Sundry YouTube channel. There are so many good tabletop games showcased on there. It was what got me to really start collecting games. Thanks! Glad you like it! I have watched TableTop several times. It’s great! Glad you have some new post ideas. I haven’t played enough from each of those categories to make an entire post. My boyfriend and I have a bookcase filled with all sorts of games, plus all the books for D&D and such. So I’ll have to draft up some game recommendation posts for next year. Great list! We are huge board gamers. Some of our favorites are Dutch Blitz, Forbidden Desert, and Roll for the Galaxy. I hadn’t heard of Ubongo, but I’ll check it out!